There’s a lot of places, foods and people that I would not have come by without living gluten-free. I’d have a lot less friends to begin with. 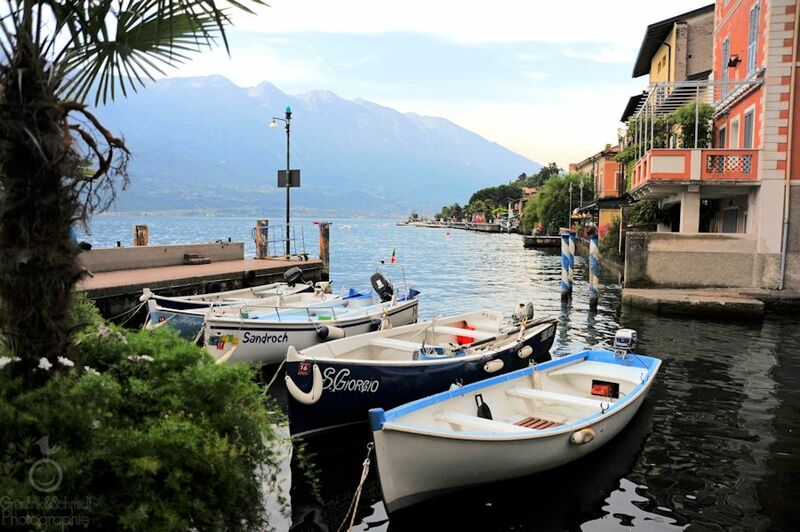 I would have probably never thought of visiting Lake Garda for vacation, because I before I went I was under the impression that it’s a holiday destination for the elderly. And now I can’t go often enough, I just absolutely love the place. It’s one of the most beautiful places that I’ve ever been to, pure magic! I probably also wouldn’t have known about Galettes, crêpes made from buckwheat flour, a specialty from Brittany, a cultural region in the north of France. They’re usually served with savory fillings. 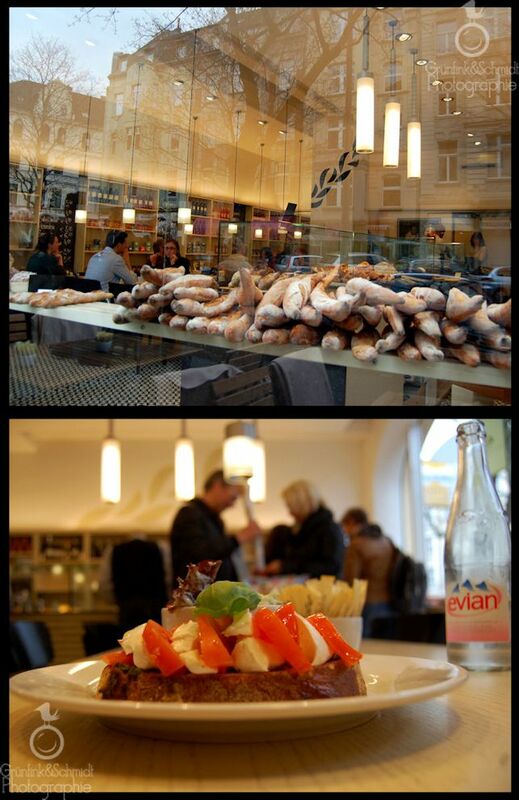 I tried my first Galette at a little French restaurant here in Cologne called – believe it or not! – La Galette. Aside from épi (where they sell baguette by the gram and make the fluffiest chouquettes and where I used to spend Sunday afternoons munching away on pain au chocolat with my friend Kathi back when she still lived here and I still ate gluten) it is one of the most French places in town. La Galette is run by a French chef and his very French staff, serving you authentic French cuisine, wine recommendations included. 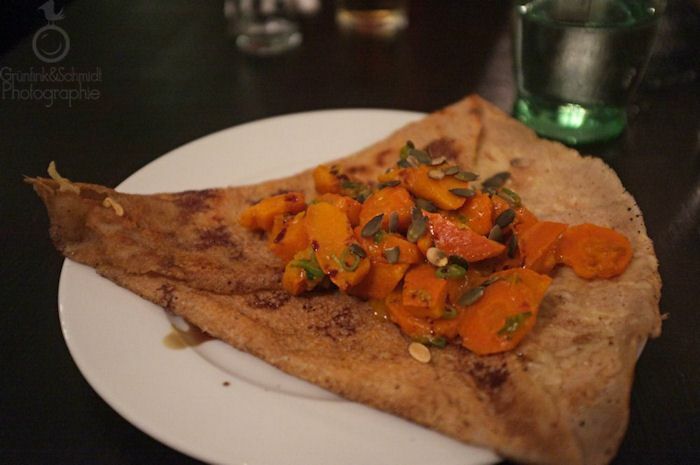 I ordered a Galette filled with pumpkin and carrot pieces, sprinkled with delicious cheese. It was really, really good! Soon afterward I set out to make my own Galettes, and this is my ground recipe. I will vary it according to how I’m feeling and what happens to be available. 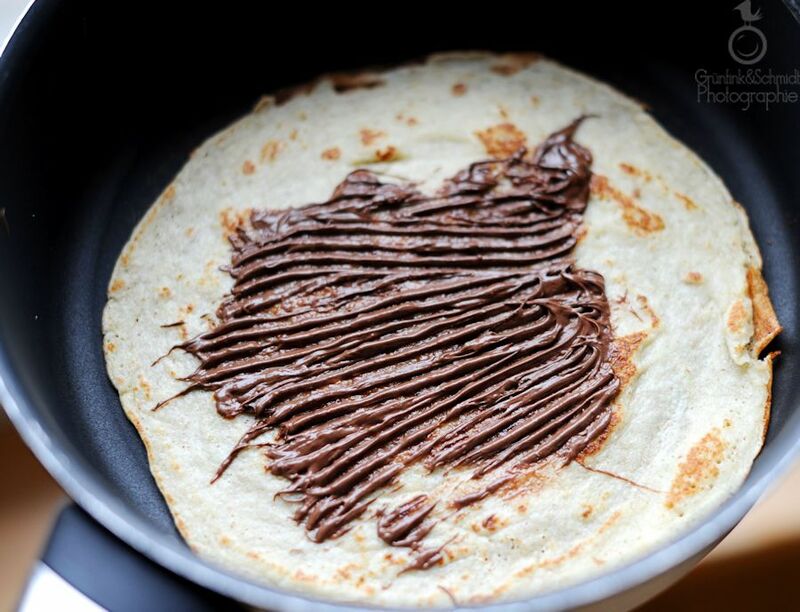 It can be a spoonful of Nutella (slathered onto the Galette while it is still in the pan) or some cheese scraps, or – as my husband will suggest – a light drizzle of sugar. You can also make more sophisticated versions, like Herbed Galettes filled with White Asparagus and drizzled with Swiss Cheeses (yeah, baby, the recipe is coming soon right on this here blog!). Just one word of advice though: please only use certified gluten-free buckwheat flour for this recipe in case you have celiac disease. Out of all grains, buckwheat faces the highest risk of being contaminated with gluten-containing grains such as wheat or rye, because it is often grown on the same fields and harvested or processed with the same machines as these grains. If you can’t purchase gluten-free certified buckwheat where you are, you can also buy the whole grains and sort through them and then grind them in your own (gluten-free!) mill. PS: I know a lot of people don’t like buckwheat flour, because it has kind of a smoky taste. I suggest you try to make these Galettes anyway. You know why? Because I’m also not the biggest fan of buckwheat myself. I occasionally grind it and then add it to a bread I’ll be making. I hear you can cook it equivalent to rice, but I’ve never tried it so far, which is funny, because I have been meaning to. Essentially the only reason I have buckwheat in my pantry is to make Galettes. That’s how much I like them! They’re such a treat! 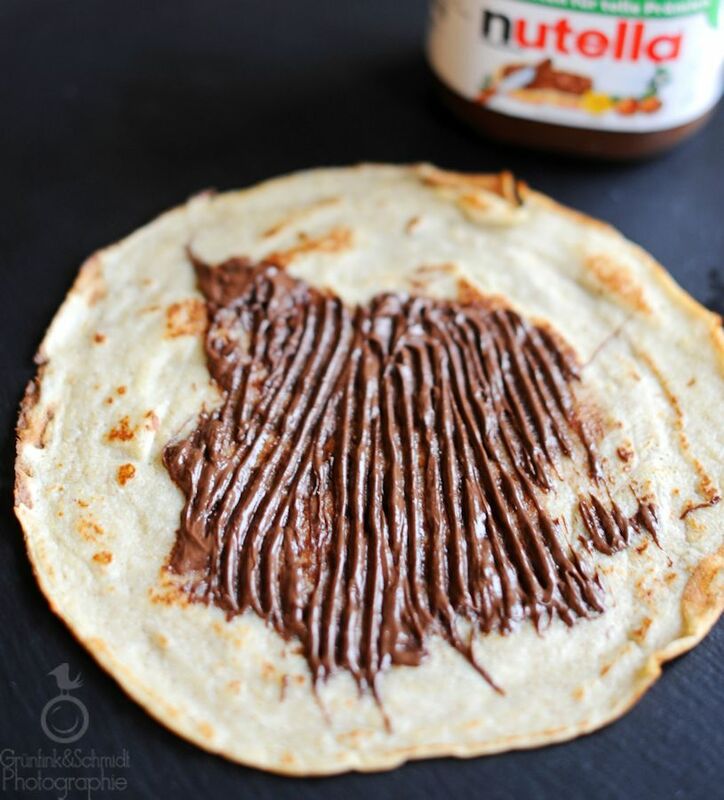 If you’re still not feeling up to it, then have a try with a regular gluten-free crêpe recipe. Place the milk, the eggs and the melted butter into a bowl and give a good stir with your handheld-mixer or kitchen machine (using a non-electric whisk is also fine, just requires a bit of elbow grease!). 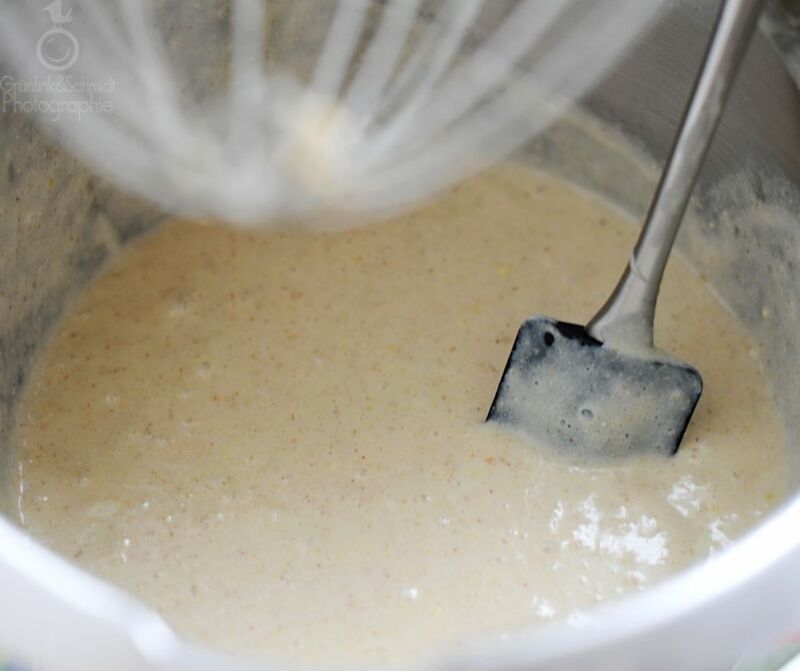 Then add the flours, the gluten-free helpers, the salt and the sugar and proceed to beat vigorously until you have a somewhat frothy and lump-free batter. I always give mine a very thorough beating with my kitchen machine for several minutes. Allow batter to rest between half an hour to several hours (e.g. overnight in your fridge). Place a pan onto the stove and heat to just above medium. Add a tablespoon of vegetable oil to the pan and distribute evenly. Ladle a bit of batter into the pan and distribute evenly, e.g with the help of a spatula. Allow Galette to fry to crispiness on the first side, then turn over and cook for another fourty-five seconds or until done. Remove Galette from pan and place on a large plate. Proceed to process – except the greasing of the pan, which is no longer required after that first Galette has been fried – the remainder of the batter into Galettes and garnish according to taste, e.g. 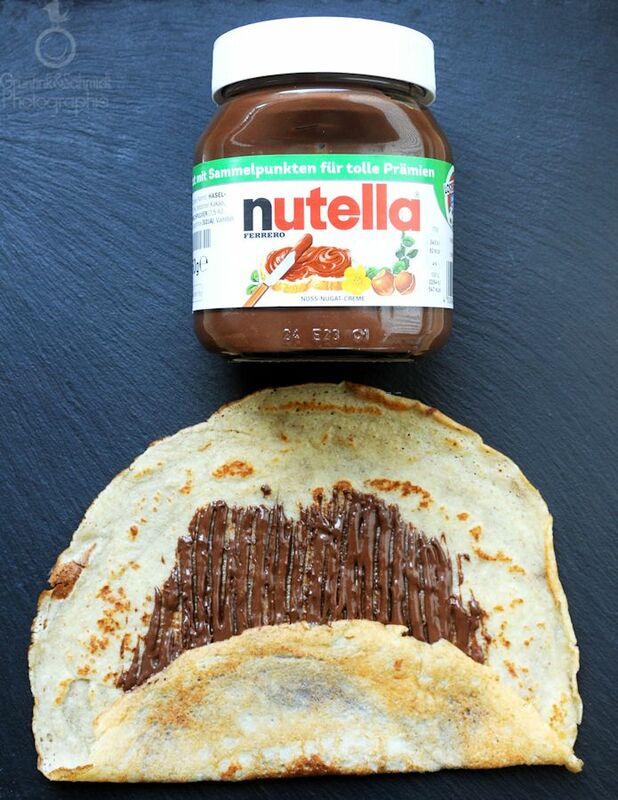 with a delicious spoonful of Nutella (gluten-free, thank goodness!). Pingback: White Asparagus with Herbed Galettes and Swiss Cheeses | Vegetarian - and gluten-free!